CARL THE CHAMELEON IS NO LONGER AVAILABLE. CLICK HERE FOR AVAILABLE SCENTSY BUDDIES. 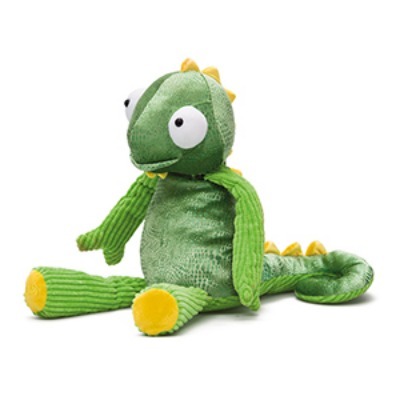 Carl the Chameleon Scentsy Buddy will leave your child begging for hugs, hugs, and more hugs! With his fun google eyes, his cute curly tail, and his soft squishy green body, Carl is more than just a master of disguise. Carl the Chameleon is a fun addition to our Scentsy Buddy collection. With his big buggy eyes, the different textures of fabrics, shades of greens, and added fragrance from the included Scentsy Scent Pak, this Scentsy Buddy is a multi-sensory toy. Scentsy Buddies are huggable cuties that come to life with your child’s imagination and the help of a Scentsy Scent Pak in your choice of fragrance. Simply add the Scent Pak into the hidden zippered pocket of the Carl the Chameleon and enjoy long lasting fragrance for your scented stuffed animal friend. Carl is a limited edition, so when this fun little fellow sells out, another will come to take his place.